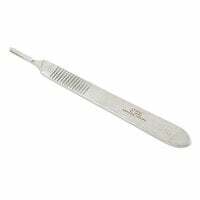 The scalpel is used in medicine for separating tissue i.e during a surgical operation. 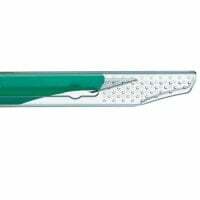 With Praxisdienst, you will find surgical scalpels, scalpel blades and scalpel handles for use in the operating theatre, surgery or hospital. 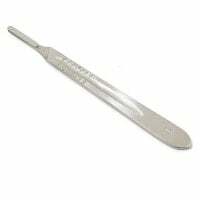 The scalpel and scalpel blade consistently come into use throughout medicine, when tissue needs to be precisely separated e.g. during an operation. Today, sterile scalpels with disposable blades are almost exclusively used as this ensures that the surgical incision is as precise as possible without tissue traumatization. 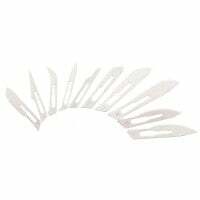 One differentiates between disposable scalpels that consist of a steel scalpel blade and an attached handle (usually plastic) and that are completely disposed of upon use, and scalpel blades that are often combined with re-useable, stainless steel handles. 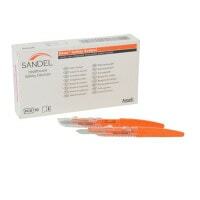 Disposable scalpels are sterile and offer the advantage of requiring absolutely no preparation costs. After a successful procedure, the entire scalpels are simply disposed of, which also substantially reduces the risk of injuries from punctures and cuts. 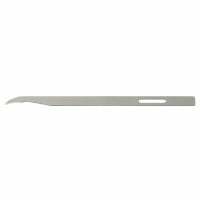 Replacement blades are particularly convenient to acquire and bring a reduced cost as compared to reuseable scalpel handles and scalpel holders. 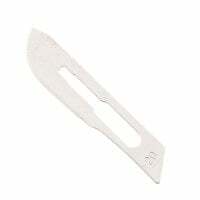 The scalpel comes available with blades in different forms, so-called figures. 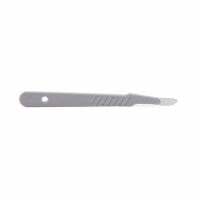 Each scalpel blade is designed for a different type of incision i.e. figure 10 is used for cutting through skin or muscles. 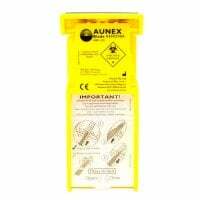 Completely new in the Praxisdienst online shop is the so-called safety scalpel. 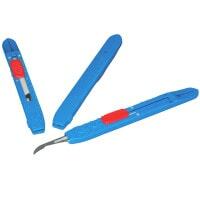 These scalpels are equipped with a safety mechanism that effectively reduces the risk of injuries from punctures or cuts. 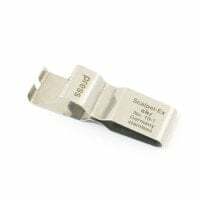 The safety scalpel offers high safety for the doctor and the entire surgical team and requires only a minimal adjustment of the user's habits. 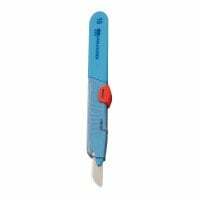 In the category Scalpels and Blades, you will also find various scalpel blade removers with which the scalpel blades can be safely removed from the scalpel handle or holder. 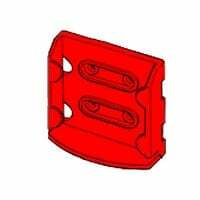 The QlickSmart Blade Box is especially practical, as the blade is immediately pushed into the integrated sharps bin upon removal. This awards maximum user safety. 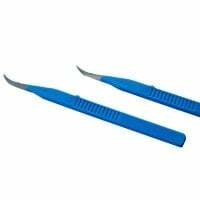 Browse our large selection of disposable scalpels, scalpel handles, scalpel blades and scalpel removers in our online shop for medical supplies!